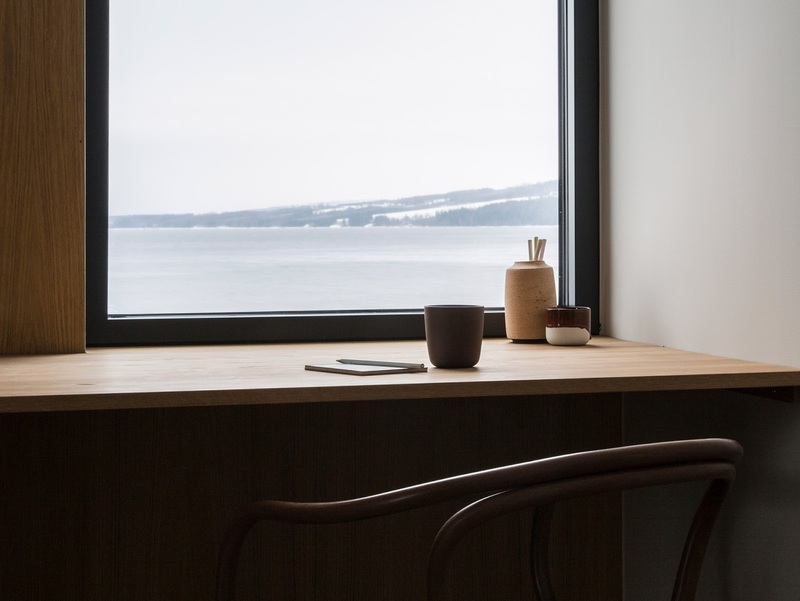 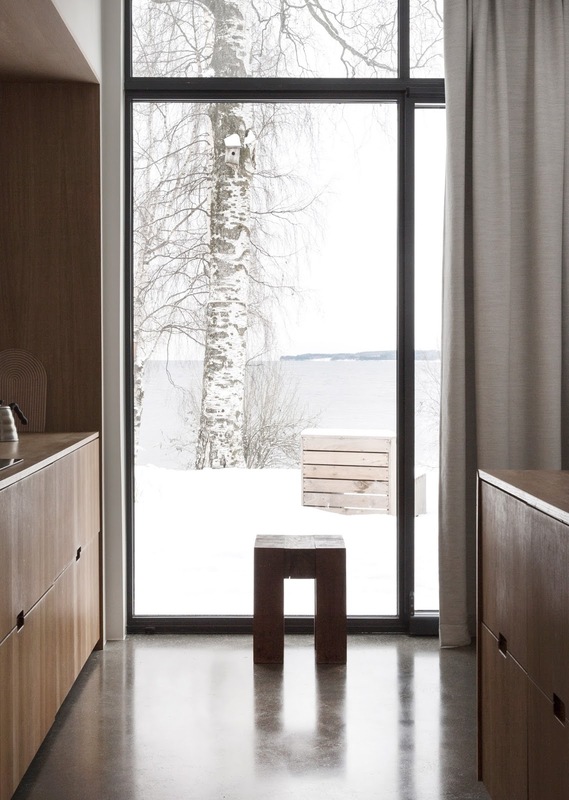 A home in Norway was created using 6 cubes of varying sizes that are intended to give the residents a cozy feel as a shelter from the Nordic winter days and nights by Norm Architects. 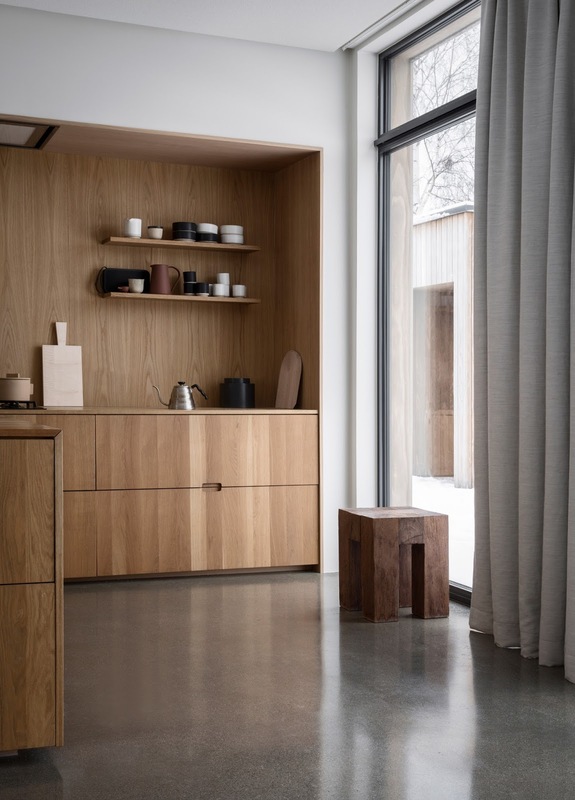 The concept of the cluster design overlaps one another giving dwellers the feeling of togetherness without inhabiting one room. 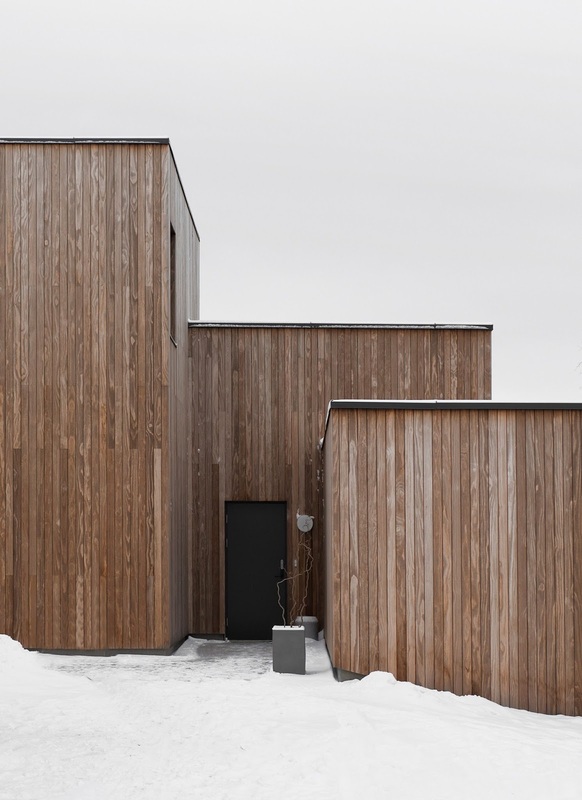 The house, situated near the town of Gjøvik and Mjøsa Lake, is situated on a hillside that overlooks a woodland area. 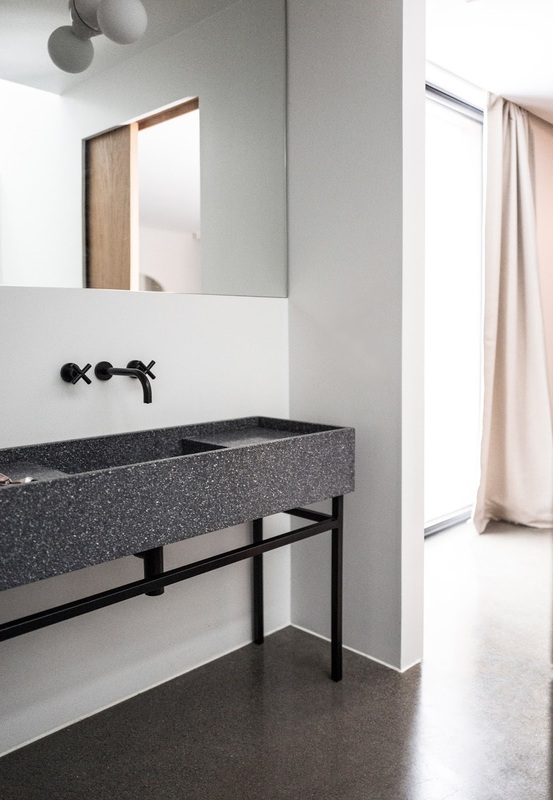 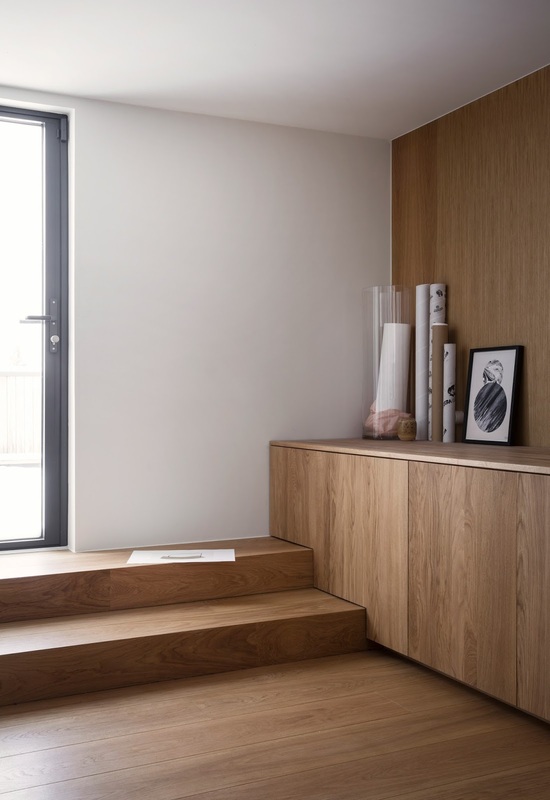 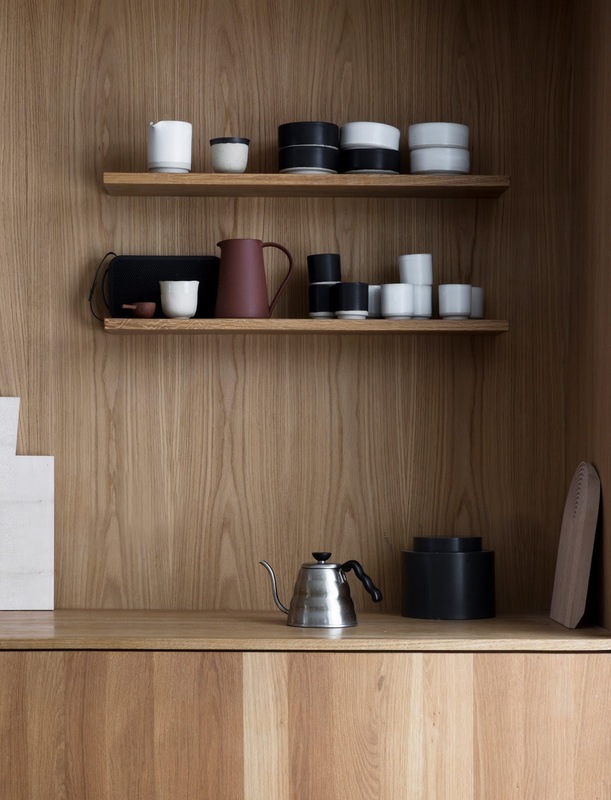 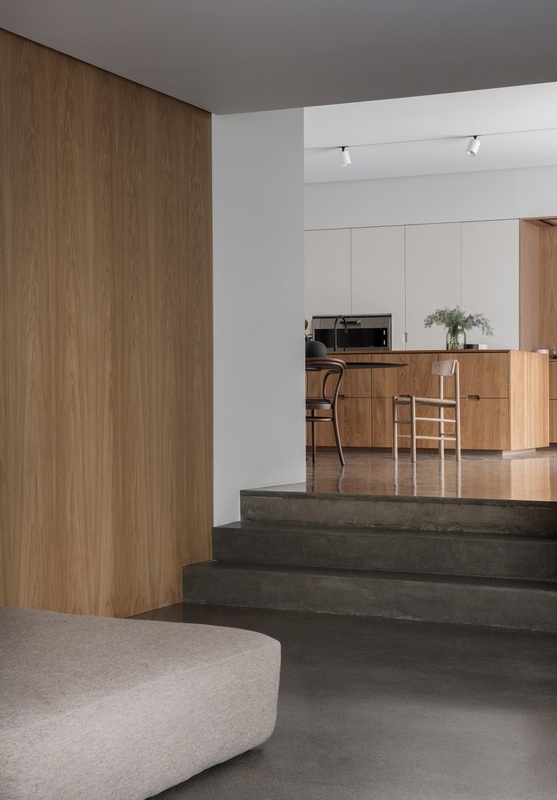 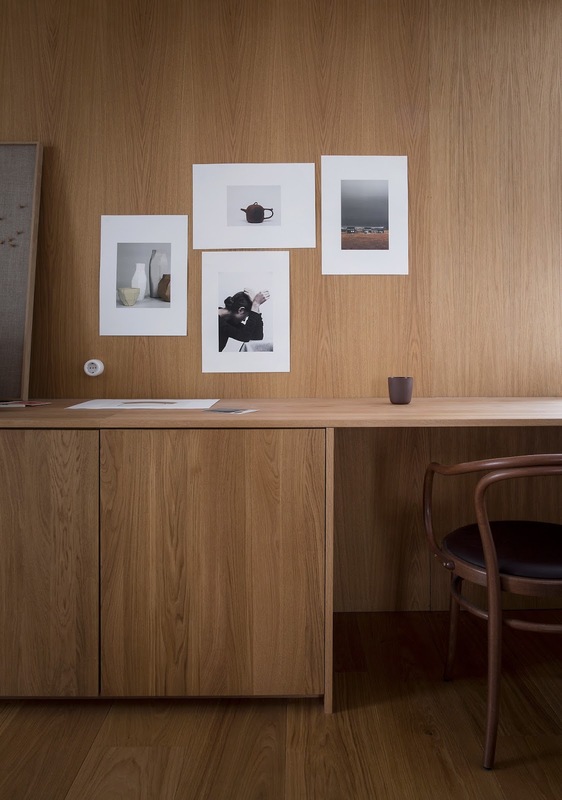 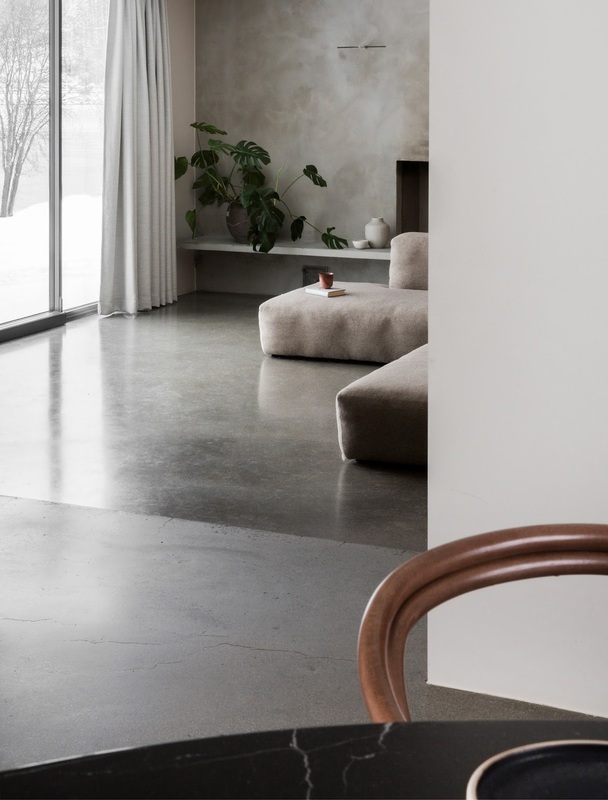 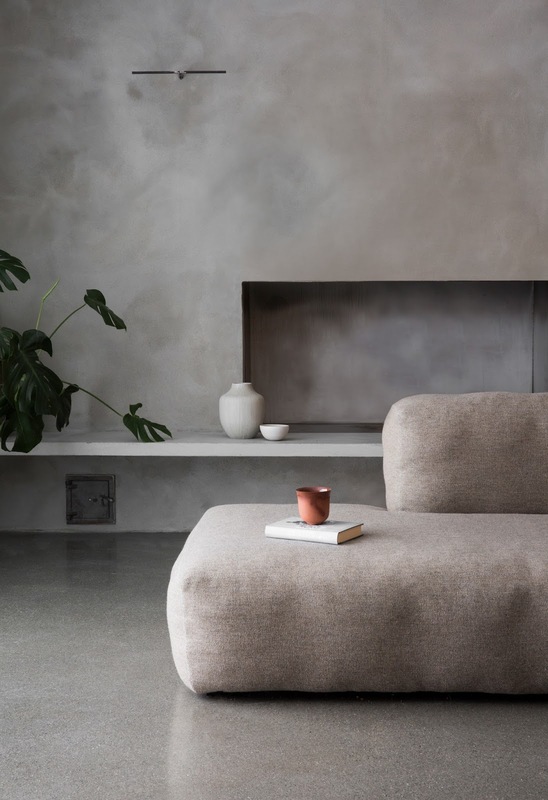 Cold concrete contrasts warm wood materials which are repeated seamlessly throughout the house, varying subtly in finish from room to room to mark separation from one space to the next.